1. Open game settings and turn on notifications. 2. Turn on notifications of the game on your Android. How can you do it? 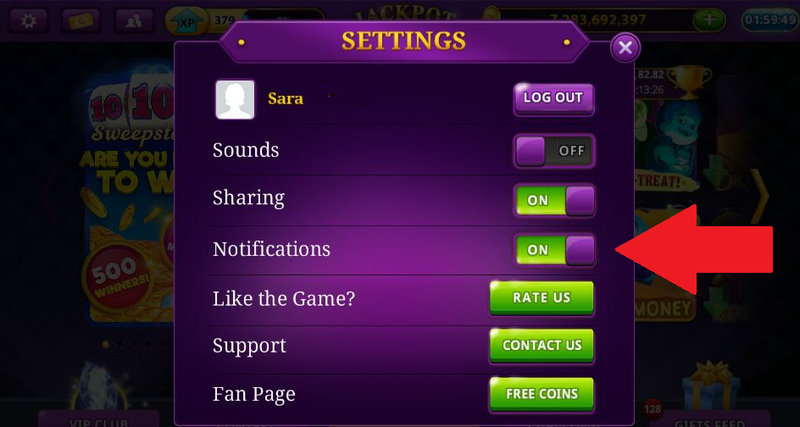 Open settings >> Application manager >> Find Gambino Slots there and click on it >> Turn on notifications.